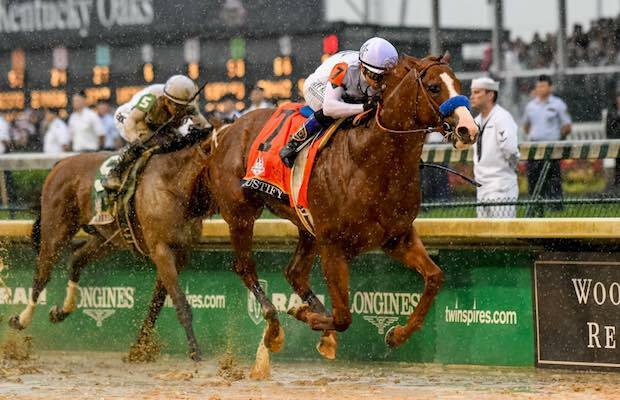 The 144th running of the Kentucky Derby on Saturday set new records for total wagers, with just $150 million wagered on the biggest thoroughbred race of the calendar. Those numbers have a real-world lesson that should be applied to sports betting. Wagering from all-sources on the Kentucky Derby Day program totaled $225.7 million, an 8% increase over the 2017 total and previous record of $209.2 million. Wagering from all-sources on the Kentucky Derby race increased 8% to $149.9 million from the previous record of $139.2 million set last year. And that was obviously good for business. We also know that online wagering accounted for a sizable amount of that. According to Churchill Downs, handle for the day at its online wagering platform — TwinSpires — was $39.2 million, up 15 percent from 2017. For the featured race alone, online handle at the site and mobile app clocked in at $24.6 million, up 18 percent year over year. That’s despite the fact that the site was not taking bets for a period of what appears to be 15 to 20 minutes leading up to post time because of technical difficulties. And those TwinSpires numbers don’t include the wagering at several other online horse betting sites. Put simply, online wagering at just one online betting portal was about 16 percent of total handle for the Derby. The lesson for states looking to legalize sports wagering should the federal ban be struck down in the Supreme Court sports betting case is simple: You’re limiting yourself if you don’t legalize online betting in parallel with wagering at land-based facilities (casinos, tracks, etc.). You’re not going to realize the full amount of revenue for gaming companies and in turn tax receipts without online betting. The horse racing industry has obviously embraced online wagering. And there’s no telling how much more of a drop-off it would have experienced without it. TwinSpires, for its part, was advertising incessantly during Saturday’s races. And, of course, we have the example of Nevada sports betting. There, handle has increased steadily because of the advent of mobile wagering. If you’re a state that wants to get the most out of legal sports betting, you’d be silly not to have online wagering. Thankfully, most states considering sports betting bills are looking at legalizing it. The bottom line: Online wagering is clearly helping increase the amount wagered on horse races. And while the horse racing industry isn’t always a model for success, here it’s a guidepost for what should happen for sports betting in the US.